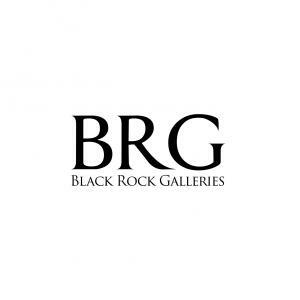 Black Rock Galleries is the tri-state's largest estate liquidator serving New England and the greater New York City area. We are the trusted source for expert appraisals, auction services, estate sales and consignment. We have served over 1000 families with compassion, professionalism and expertise. We work with attorneys, executors, realtors and families to bring the greatest return on assets in the current market. Our unique combination of services make us the easy choice to get the job done in a timely and stress-free manner. We are with you from the initial consultation to the final clean out. Black Rock Galleries is a full service auction house and antique center featuring 53,000 sq ft of furniture, quality antiques, fine art, beautiful home furnishings and home accessories. We are open Tuesday through Saturday and hold auctions frequently. The launch of our new website in January 2015 offers our clients' property to a national audience featuring traditional online shopping, unique flash sales and online auctions. After almost 20 years in the antiques, auction, and consignment arena, Grant Panarese and Christie Spooner set out to create a one-stop enterprise based upon knowledge, honesty, and integrity. What began in 2010 as Bridgeport Salvage Company in the Mill Hill section of Bridgeport quickly bloomed into a unique business offering a consignment shop, full auction and estate sale services, and expert appraisals. By 2012, business growth pushed them to a new facility with over 53,000 square feet of showroom space and a new moniker, Black Rock Galleries. The business continues to grow exponentially under the guidance of its founders and the wonderful support of their clients. Black Rock Galleries' flagship showroom is located at 1720 Fairfield Avenue, with easy access from I-95 (exit 25). Check the hours here. BRG-Greenwich ... located at 179 Hamilton Avenue, Greenwich, CT. BRG-Greenwich is open every Wednesday from 10 a.m. - 3 p.m. for open appraisals and consignments with additional hours for auction previews and other events as posted. Call 203-900-1110. BRG-Boston ... located at 318 Bear Hill Road, Waltham, MA. This warehouse is open for auction previews, pick-ups, and other events as posted. Call 617-279-0090. This company has posted a total of 298 estate sales. Only the most recent 50 sales are shown. I have been collecting for over two decades and finally visited BRG to scope out your operations with the intention of having you help me in downsizing my home. I WAS BLOWN AWAY!!! BRG is the best place to buy and sell. Grant and Christie, your staff are wonderful people! You handled my estate with care and helped me make the transition to a smaller home much easier than I could have imagined! Thank you! We just received our check from Black Rock, it came quicker than expected. It was a great experience working with you and your staff. Everyone was delightful and it made "starting over in LA" that much easier. Thank you so much. As an avid "treasure hunter" I didn't know what to expect during my first visit to Black Rock Galleries. I have since become a "regular" because I lover your very cool showroom ... ideal for treasure-hunting! Every trip always offers new and interesting inventory ... antiques, mid-century, old church pews, art! NYC caliber service and merchandise at Bridgeport prices. I want to thank you for your very professional and personable service. The pride you showed in every item you sold from my estate, no matter its value, is second to none. It's obvious that customer satisfaction is your A1 priority! Every detail was perfect from pick-up to sale. Not only do you have a great showroom, but you have a unique and talented team that has become part of our lives. The sale of my father's estate went beautifully! I can't thank you enough! As you my know, I picked-up my aluminum outdoor table and chairs. I love it! I just want you to know what great guys you have working with you! I'm not sure what their names were, but they were nice, very hard-working gentlemen. They made sure we were tied down and we made it to Long Island and back to Jersey safely. Thank you.